Vilmos Kondor’s Budapest Noir begins with a pair of deaths. On the one hand, these deaths practically could not have less to do with one another. The first is the real life death of Prime Minister Gyula Gömbös on October 6, 1936 in Munich; the second that of an unknown Jewish prostitute on a seedy Budapest street. One dies of natural causes, the other is brutally murdered. The prime minister’s death leads to routine national mourning that reduces the bustling metropolis to silence. The prostitute’s death leads to an altogether different kind of silence. Yet something about the silence surrounding this girl’s death, along with an apparent coincidence, sets him on a heated investigation. From the outset he realizes that he will never be able to write about what he discovers, let alone obtain justice for the victim. For it is not only an investigation of a prostitute’s murder, but of how a daughter from a wealthy, bourgeois family became a prostitute at all, and of the illustrious identities of her clientele. The massive disparity between the significance of these deaths should be most evident during the high security preparations for viewing the prime minister’s body at the Parliament building, yet when Gordon spies a hushed meeting between the minister of the interior, chief of police and one of the heads of the homicide unit both he and the reader strongly suspect it is the anonymous, low-profile death being discussed so urgently rather than the departed statesman’s. Gordon initially comes across as a typically jaded newsman, too narrowly focused on his beat to care much about the increasingly poisonous political atmosphere of the 1930s. 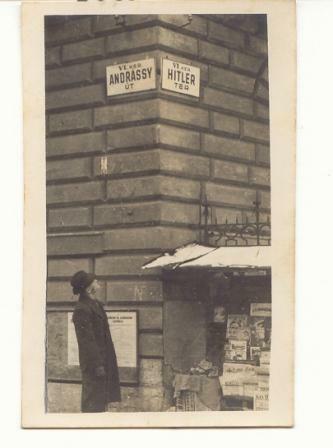 Yet whether it is the coffin-side tribute of visiting political ally Hermann Göring or the presence in Budapest of a Hitler Square, politics prove unavoidable. This is all the more true in investigating the murder of a Jewish woman. Kondor is at his best in moving the plot forward and showing all the potential factors involved in the murder, whether they come from the heights of wealth and power or Budapest’s teeming slums. Each of the novel’s secondary character – the independent, free-willed Krisztina, Gordon’s retired doctor father, or the former boxing great Jeno Strausz – get involved in helping Gordon, adding a vital piece to the puzzle he is attempting to solve. Other plot points are cleverly added through seemingly extraneous episodes such as Gordon visiting a boxing match or when he does a quick edit of a young journalist’s article. Gordon’s quest for answers leads him on a journey through Budapest high and low, taking in elegant villas and illegal, bare-fisted boxing matches, brothels, cafés and a fascinating portrait of the criminal underworld. There is even a crucial trip made into the countryside that serves as a strong contrast to the urban bustle of the capital. Creating atmosphere is not Kondor’s (or the translation’s?) strong point, yet the variety of locations are evocative enough to provide a strong setting to a riveting plot. There are some passages, such as the novel’s opening, where Gordon’s movements around the city are clumsily indicated by street names and monuments, as if the scenes were written with the help of a map. Yet when its focus is on the subtle and engrossing murder investigation and the multiple social and political windows it opens up, the book is mesmerizing. 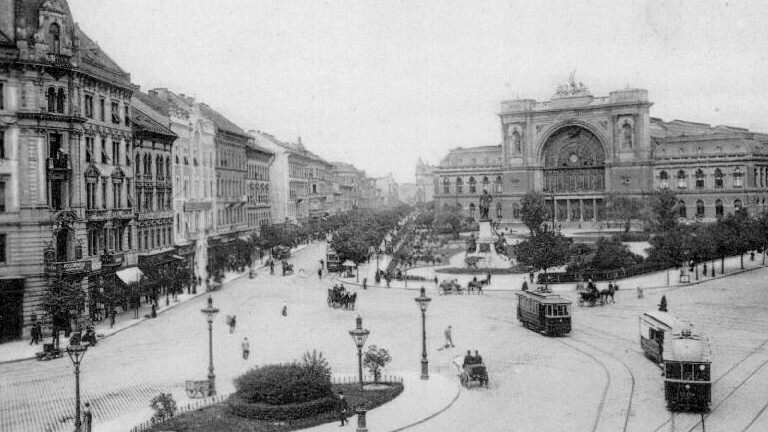 Kondor has written three more novels featuring Gordon – Budapest Sin, Budapest Spy and Budapest in Ruins, taking the journalist forward in time to pre-war, wartime and post-war Budapest. If they are as good as the series debut they will be well worth having published in English translation. I have a review copy of this one. Looking forward to it.